Enjoy a memorable day on board the Sunshine Pearl, your own private yacht. Whether you charter the boat for the day or just a few hours you'll experience a lifetime memory. 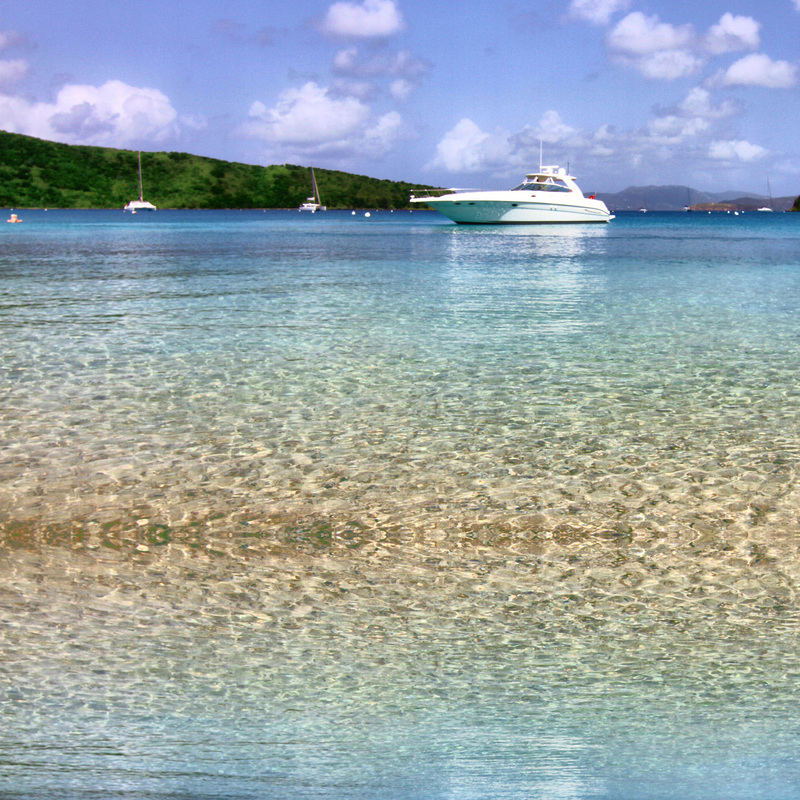 Chartering your own yacht allows you to explore any area of the Virgin islands you'd like. So take a look at all the wonderful places that are fun to experience and explore while you are relaxing on the Sunshine Pearl. Legend plays a large part in the history of Norman Island with tales of pirates and treasure caves, although the role of the island as the epic "Treasure Island" by Robert Louis Stevenson is perhaps the most famous legend of all. You shouldn't miss a cruise to the beautiful and historic "Treasure Caves". Since the 1750's, visitors to the island have discovered three separate treasure troves with each yielding substantially different amounts of riches. These bounties undoubtedly inspired Robert Louis Stevenson to immortalize Norman Island as his setting for the epic novel "Treasure Island". The clear, turquoise water at Norman Island offers the perfect habitat for numerous reef fish and a great spot to take underwater photos of the colorful inhabitants like the Parrot Fish, the Green Sea Turtle and the Yellow Head Wrasse. Norman Island is also home of the infamous Willy T. floating bar and restaurant.